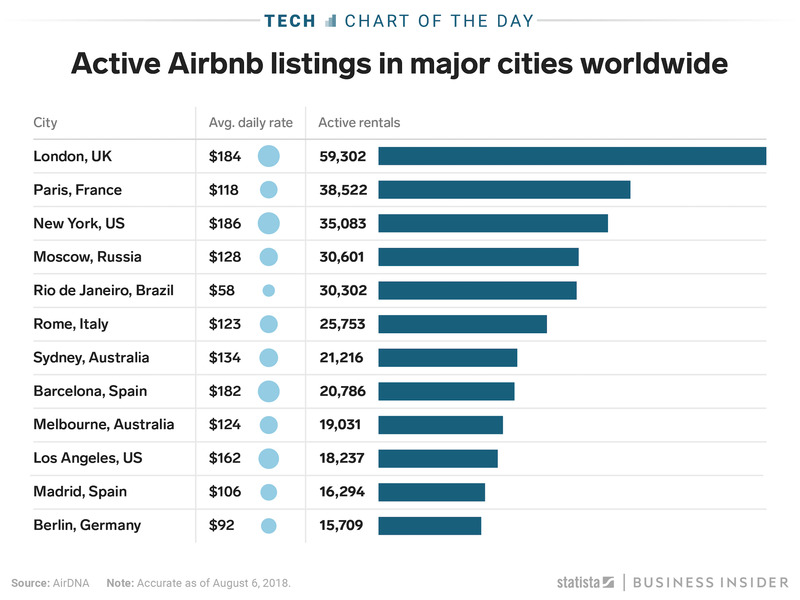 Since 2008, home-rental service Airbnb has allowed travellers to rent locals’ apartments and homes as a new way to experience cities around the world, from Rio de Janeiro to London. 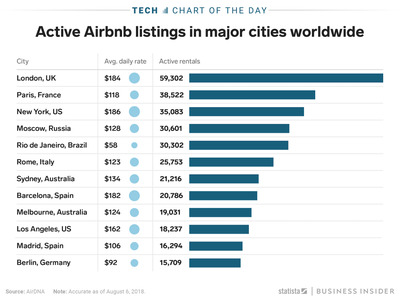 London, in fact, is the most popular city to use Airbnb, as this chart from Statista shows. Staying in a local’s apartment versus in a tourist-driven hotel provides travellers with a more native experience, a concept that’s only grown in popularity over the past decade. Airbnb announced in February that it would add hotels to the platform in an effort to hit one billion bookings by 2028, which will broaden the service’s reputation from experiencing cities as a local to a more mainstream method of travelling.